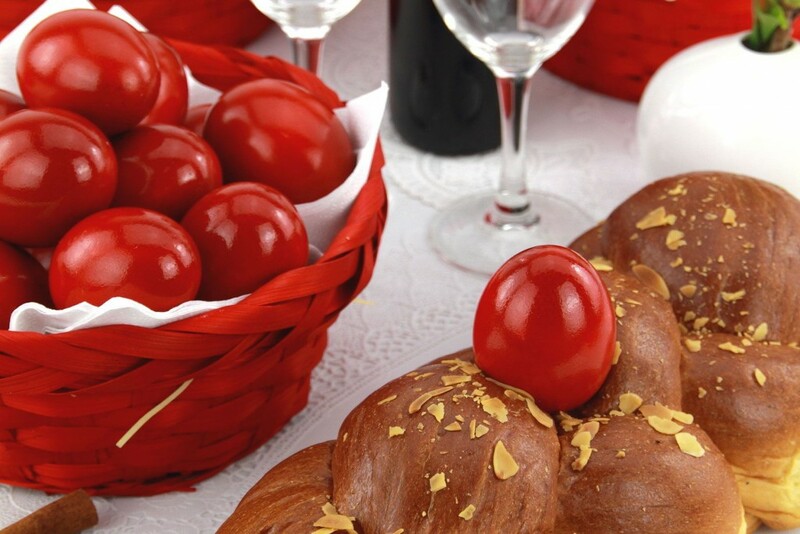 Easter is without doubt the most sacred holidays in the Greek Orthodox faith, where many have been fasting since February 23rd by excluding meat, fish, eggs, oil and dairy products from their diets. Most Greeks start to take their fasting seriously on the week leading up to Easter, from Monday the 6th of April, known as Holy Week. The Easter preparations usually start on Holy Thursday where the traditional Easter bread, cookies and cheese pies are baked. Women and children dye eggs in red color that is meant to symbolize the blood of Christ. In the evening, the church will hold a symbolic representation of the crucifixion and it is also the evening where the mourning begins. Holy Friday is a day of mourning. All flags are hung on half-mast and the church bells ring all day in a slow tone. On Holy Saturday, the Eternal Flame is flown to Greece by military jet and is distributed to waiting Priests who will carry it to their local churches. Meanwhile, the traditional “magiritsa” soup is prepared and will be eaten after the midnight service to break the fast, and other preparations are made for the next day`s feast. The churches are overflowing of people on Holy Saturday evening as everyone who is able to come attends the midnight service. In Crete, village children spend the day preparing a large bonfire and an effigy of Judas outside the church to burn after the midnight service. Right before midnight, all lights are switched off and only the Eternal Flame at the altar lights the churches. 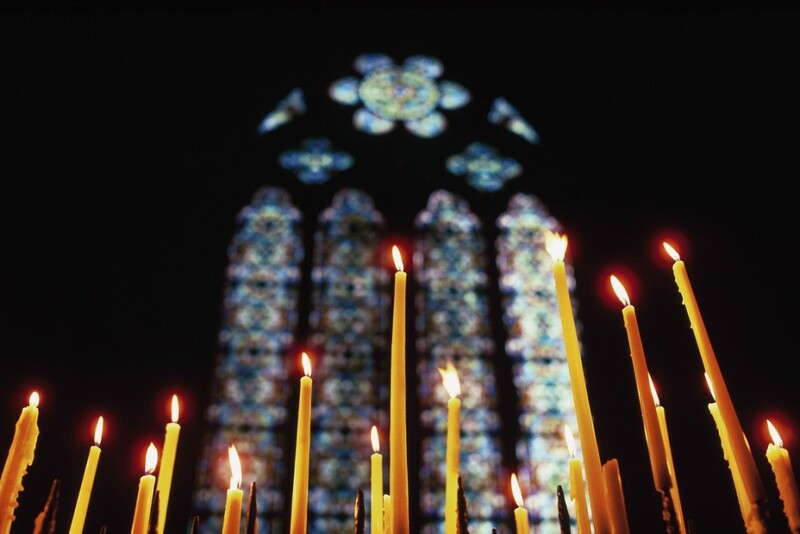 When the clock passes midnight, the priest calls out “Christos Anesti”, Christ has risen, and passes the flame, the light of resurrection, to those nearest him and for everyone to light their candles. 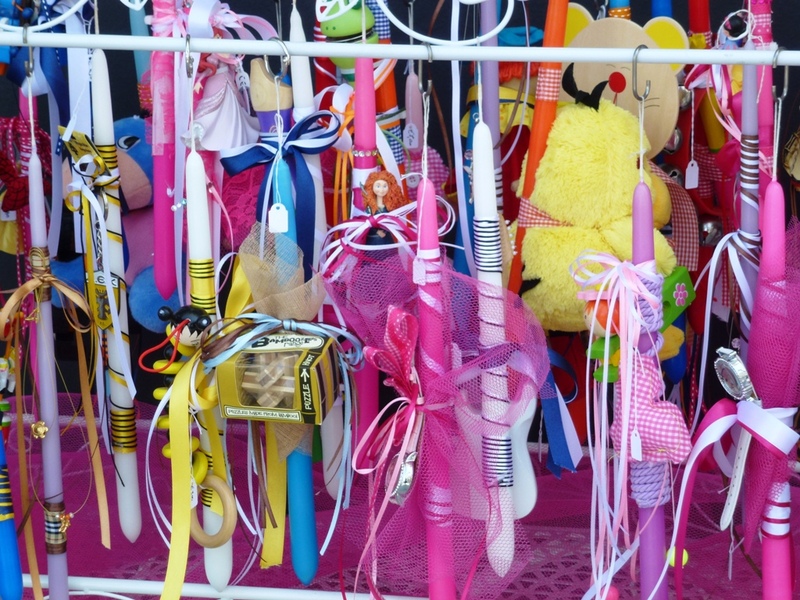 Children often carry special candles, “lambada”, given from their parents or God- parents. These candles are often decorated with favorite heroes or storybook characters and the children are carrying their lit candles with pride. After the church service, everybody will carry their lit candles home and use it to make the sign of a cross on the doorframe with the smoke. The smoke cross is left throughout the year to symbolize that the light of resurrection has blessed the home. Once home, everyone gathers around the table for the magiritsa soup, Easter bread and eggs. 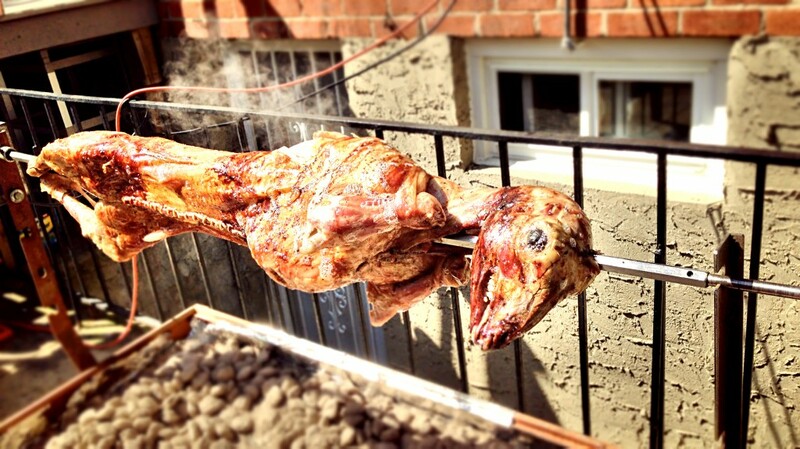 The next day, all grills are fired up in order to roast a whole lamb or goat to represent the Lamb of God. Wines, ouzo and other drinks flow freely while preparing the meal, and it usually turns into a celebration even before the table is set. Celebrations continue with the cracking of the red eggs. The egg cracking has become a traditional game where each person takes an egg and challengers attempt to crack each other’s eggs. The person whose egg lasts longest is assured good luck for the rest of the year.